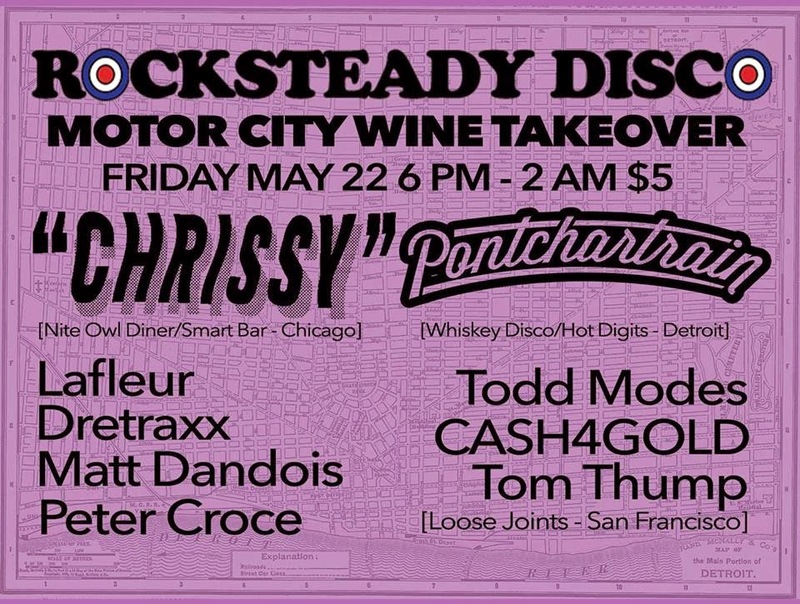 If you love DJs, but don't want to dish out a ton of dough to go to Movement this weekend, head to Motor City Wine instead. They are hosting a 4 day Memorial Weekend party. Every day this weekend they will feature great DJs along side some awesome BBQ. 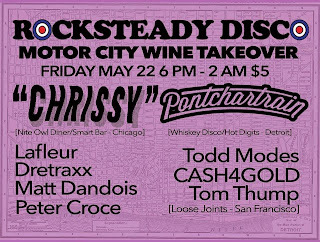 First, on Friday night Rocksteady Disco is taking over. It's only $5 to get in to hear sounds from DJs Chrissy, Pontchartrain, Dretraxx, Matt Dandois, Peter Croce, Lafleur, Todd Modes, Tom Thump and CASH4GOLD. Music starts at 6 p.m. on Friday and goes 'til 2 a.m.
Saturday the party runs all day, starting at 2 p.m. Since the music runs all day on Saturday, admission is a bit more at $10. The lineup includes Keith Worthy, Alton Miller, Mike Brown, Todd Sines b2b Archtyp, Sergio Santos, Ari Frank, Tim Baker, Daniel Andres, R&B and Fabio Della Torre. 21 and up are welcome. On Sunday there will be a surprise guest during the day. Motor City Wine will make that announcement on Saturday. But, at night, Carl Craig will be performing. Admission to that show is $10, but all of the money is going to the DIA. Pretty cool! The Saturday night show starts at 10 p.m. and goes until 2:30 a.m. Finally, if you aren't partied out by the time Monday rolls around, head down to MCW to check out a ton of great music hosted by House Gallery. The list of artists for Monday includes DJ Denouement, Mr. Man, Rennie Foster, Gary Martin, Ibex, Djmoreese Turner, Tunis Diaspora/diaspora 216, Detune, Drivetrain, Claus Bachor, Dj Uchikawa aka Loftsoul, DJ Psycho, LaFleur and House Gallery. The best part about Monday's party is that cover is FREE!!! 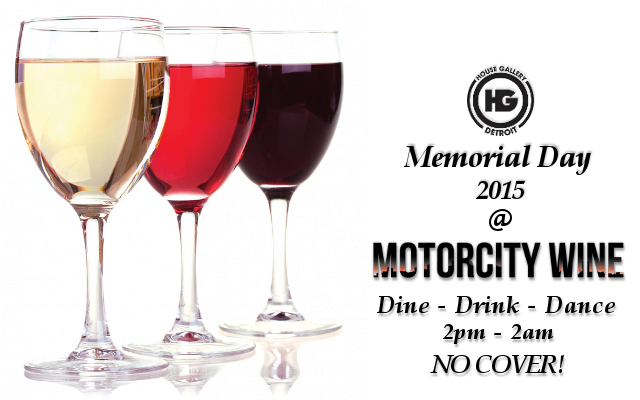 All of these parties will take place both inside Motor City Wine and outside on their patio. All sorts of food from hot dogs to Quinoa burgers will be available for purchase. For a full list of this weekend's events and this weekend's menu click here. 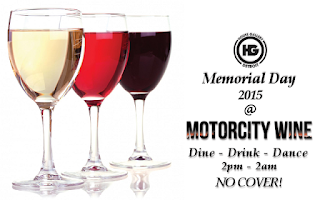 Motor City Wine is located in Corktown at 1949 Michigan Ave.